I tried it but didn't work for me. Nebulosity stopped working after exposure. I think because i tried with trial Nebulosity4. 5. open Sequence Generator and select "ASCOM Camera Driver for Nebulosity" as Camera. I use a 64bit Windows 10 Laptop for this. I do not think the trial version of Nebolusity causes the problem. As far as I know the trial version only disturbs the taken frames when stored with some stripes. Does anyone still have a lead on schematics for a CAM10-R board? Many of the parts on the source list are outdated but going to try to build the CAM10-R, since I have a few MT9M001 color sensors. 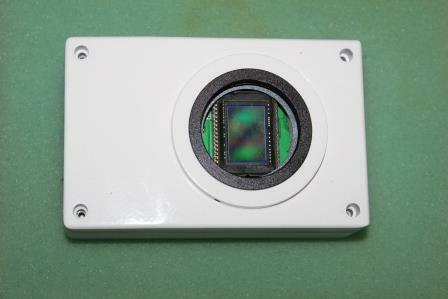 I can still find the original CAM10 schems on astroccd.org, but the cam10-r board was buried somewhere in a russian/ukranian astro forum that today I have lost track of. Has anyone been working with this lately? Trying to start off with a smaller build. Edited by AstroMadd, 22 November 2017 - 10:07 PM. Holy jesus....I cant belive what you guys are up to here. I just read the whole thread in one sitting. The images you guys have taken so far are out standing! especially for a color cam! unreal. I have 3 panels and each has 8224 ADU minimum without sensor. DD13 is warm, but the 5V is stable 4.980V. Overall current on 12V is about 120mA. Edited by kalalaa, 27 January 2018 - 07:48 AM. With CAMView it's the same? Tried with maximdl, nebulosity, sequence generator pro and cam86 view-01. All the same. 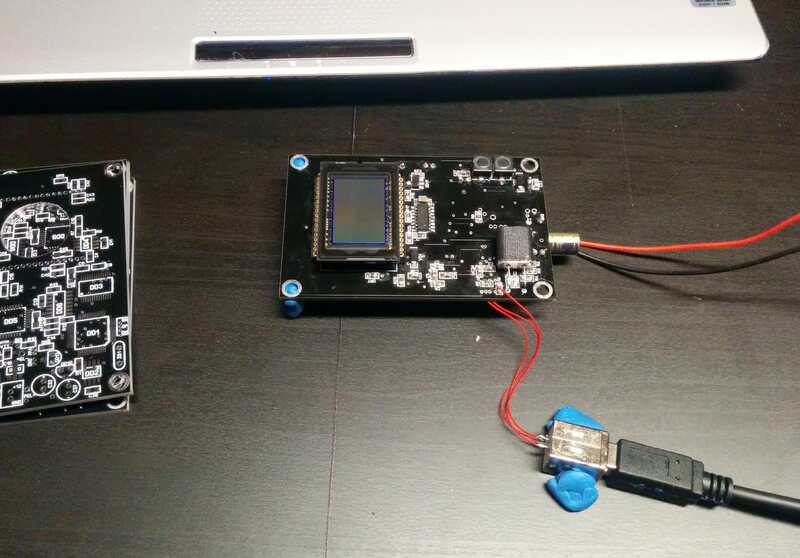 Tried may firmwares and ascom drivers. I checked 3 times all the components all the 3 board but nothing. You see my arms, face and tshirt. The 3rd AD9826 works fine. First i soldered it before the other components and it is electrostatic discharge sensitive device, so maybe i killed it. The second ic is a desoldered from other device. The third is a new. Finally here is my camera. Fully sealed, tube filled with silica gel. Edited by kalalaa, 27 January 2018 - 12:31 PM. 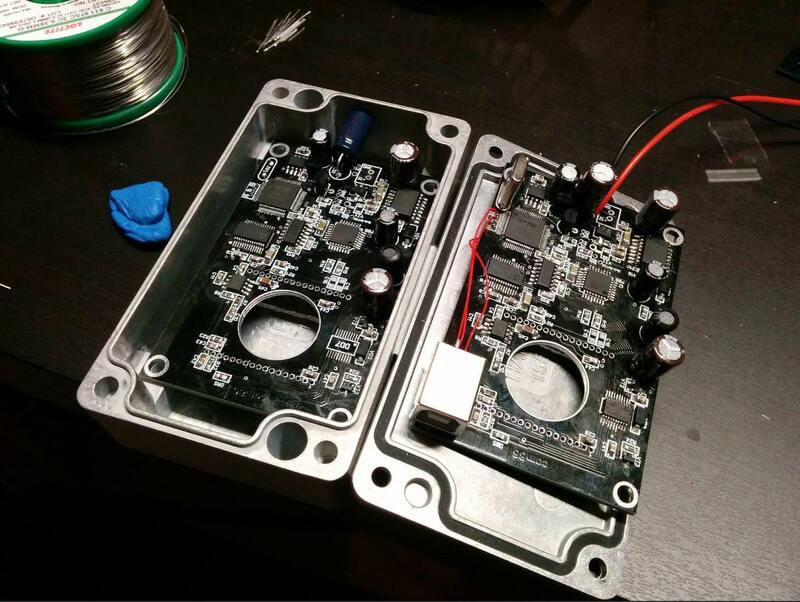 I've got two cam86 boards waiting for sensors. Hopefully all goes well, lol I'll report back when I get a sensor in place. Interestingly, I did not need to do anything special to get the sensor out of the metal housing, it popped out on its own. 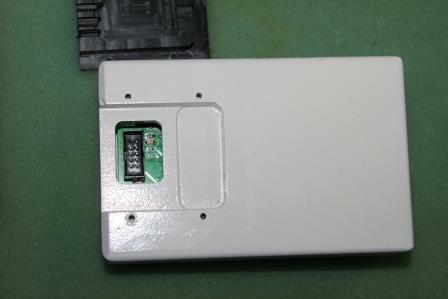 The epoxy residue is still attached to the back of the sensor though. Anyone have ideas on removing the epoxy residue? is DMSO the only option? See an earlier post: https://www.cloudyni...mera/?p=7270629 for more details. Thanks guys, I'll see what can be done with paint stripper before moving to DMSO. Does anyone have any recommendations on how to mount a T-thread to the enclosure? I've seen a number of approaches from 3d printing to custom milling an aluminum connector. Unfortunately, I don't have access to a lathe or anything that would allow me to create this component. Would anyone be up for helping me out? Here is a thread I stumbled across where someone was able to cut large diameter threads without a lathe. Rather ingenious solution, another technique one can put in one's tool chest. Grab a M42 to T-mount adapter off ebay. Threads on both sides are the same diameter, but different pitch. Enlarge the hole in the case so the adapter more or less screws in, then epoxy into place this something like JB weld (metal filled epoxy, might cut IR leaks). On mine I took the T-mount ring out and just mounted it, but that's in a machined housing. As an additional FYI, extension tubes are also good sources of lens and camera mounts. You guys are awesome, thanks for all the great suggestions! @gregj888: do you have any photo's of what you ended up doing? Did you custom make the entire housing? I am also using macro extension tubes to build a Dave Groski inspired H-alpha setup. That's a story for another thread once I manage to make some more progress. Edited by Toups, 29 March 2018 - 09:27 PM. 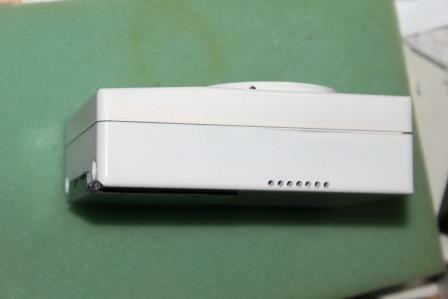 The camera wears white powder coat now. I think I've posted that but didn't see it It's a little hard to see in the photos, but there's a water channel (largish round holes on each side of where the wires come out. Then there are small holes behind the sensor (well peltier) to provide water channels behind the peltier for back side cooling. Edited by gregj888, 30 March 2018 - 02:25 PM. Nice work greg! That is one professional looking camera. Did you end up water cooling it? Yes, I'm a fan of water cooling for cameras. No vibration and much easier to reach lower temps with the peltiers. i try launch cam84 driver on raspberri pi. Install raspian, install dependencies, instal indi server 1.6.0. 2018-04-02T16:35:38: Client 0: new arrival from 192.168.1.101:51051 - welcome! I have idea use raspberry pi to use camera as standalone application without notebook in travel. It is real? Or usb speed will not be enough to normal reading? I had to do a sudo to run the server as root in order to not have the ftdi errors. Evidently properly setting the udev rules may fix it also. Don't know if a raspberry pi is fast enough but certainly worth a try. I'd be curious to know if you get it to work.